Core'dinations and Imaginisce have teamed up all this week for a series of fantastic blog hops. 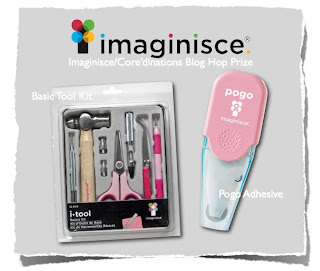 I was sent the Outdoor Adventure Collection from Imaginisce along with the totally cool i-rock heat setting tool and Glam Rocks. So I teamed up these goodies with some Core'dinations cardstock to create a series of cards! I have to say I'm totally in love with the i-rock tool, there are just so many possibilities with it and it's so quick and easy to use! I just love the texture and dimension it adds! 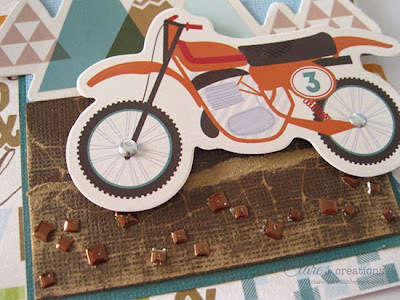 Here I added some Glam Rocks Squares to some Tim Holtz Kraft-Core Shattered cardstock, that I tore and sanded with my Sand-It gadget. 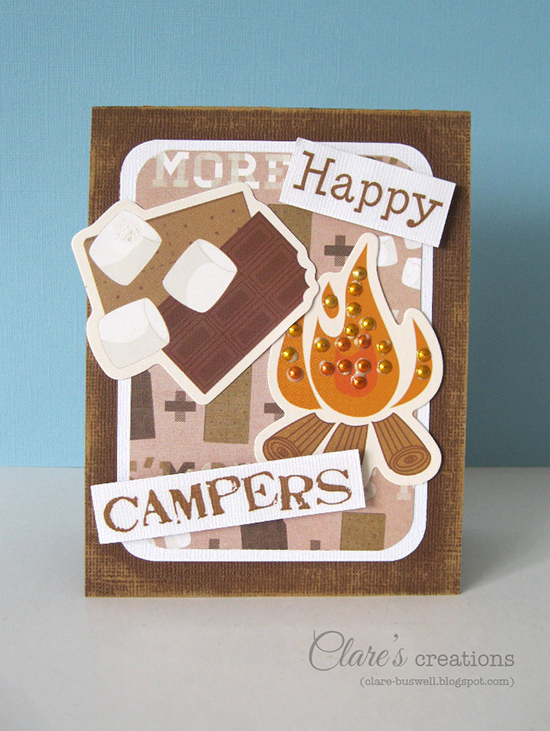 Can you tell I had lots of fun with the Outdoor Adventure Collection, just check out the s'mores patterned paper and die cuts! Of course I added some more Glam Rocks to the fire! All the sentiment stickers I used today are from SRM Stickers. There's such a vast array of Core'dinations cardstock colors available it was very easy to team them with the Imaginisce papers! 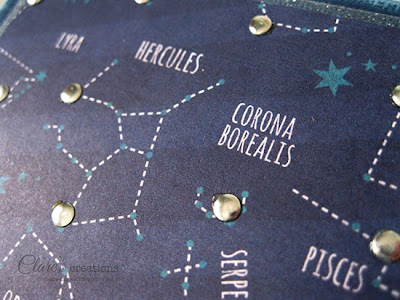 I added some fun details to this constellation patterned paper using the i-rock and Glam Rocks Mirror. Just one more card! I embossed some Core Essentials Neutrals cardstock with a woodgrain embossing folder and sanded with the Sand-It gadget. 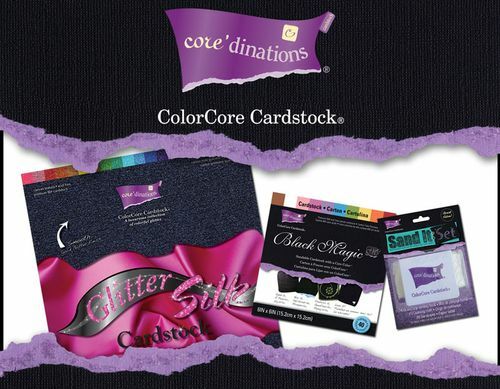 Of course there are some great prizes up for grabs from both Core'dinations and Imaginisce. To be in with a chance of winning make sure you comment on each of the designer's blog posts and company's blog post each day and like each company on Facebook. A winner will be chosen by each company. 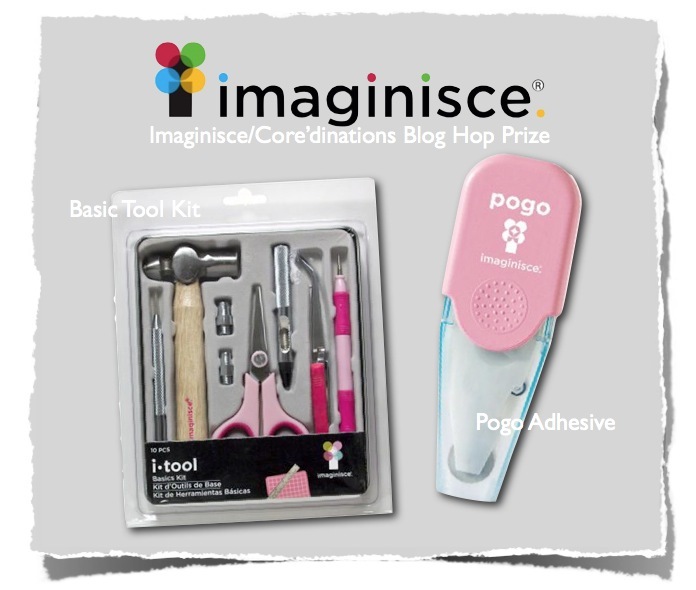 One winner will receive a Core prize packet and another winner will receive an Imaginisce prize packet. Winner's will be announced on the company's blogs on August 9th! 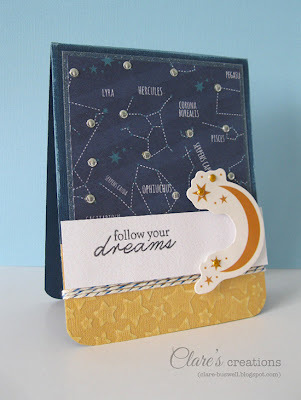 Here are the rest of the designers participating in today's blog hop! Enjoy the creativity! 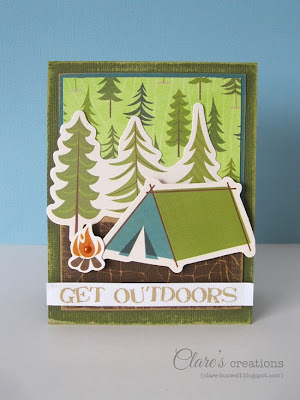 FABULOUS set of cards Clare - love how you have combined your Core with the Outdoor Adventure Collection - the Shattered Core looks extra awesome, especially with the i-rock gems!!! 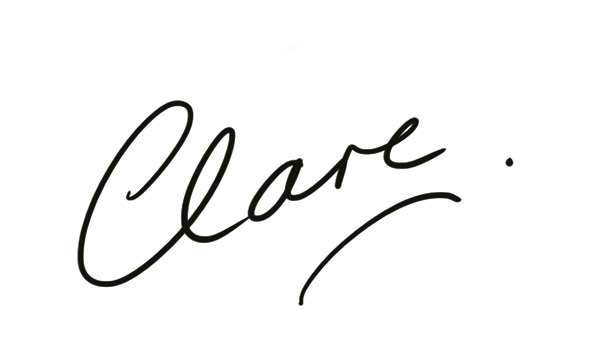 Clare, what an awesome set of cards you made! You totally rock your I-rock tool, making me want one even more than before. I love the sanding you did on the Core'dinatio! Adding the Glam rocks to the sanded paper was a great idea. Actually, I love the way you added the extra bling to each card you made. The color choices you made with both the Core'dinations and the Imaginisce made your cards extra special. Thank you for sharing! Fabulous cards Clare - you rocked this set! Fun set of cards. You show cased coer'dination paper really well. Thanks for sharing! Cute cards. Love the camping scene and the bike. Love the cards. 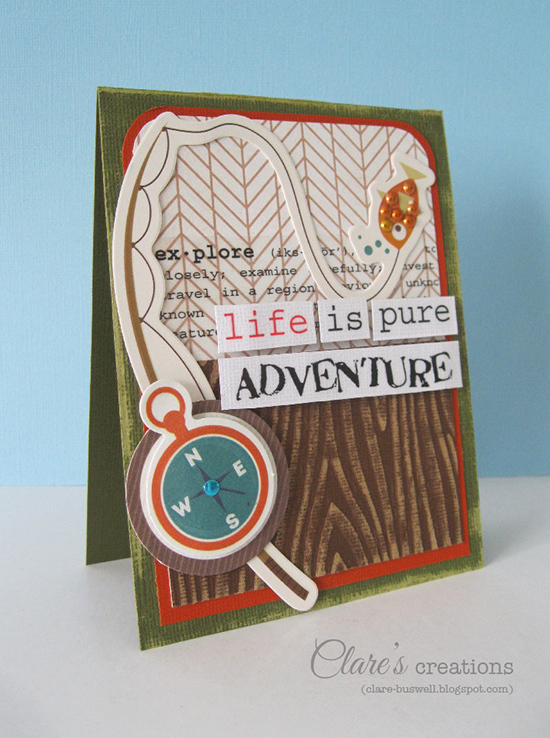 Always glad to see cards being featured as I'm a card maker, not a scrapbooker. 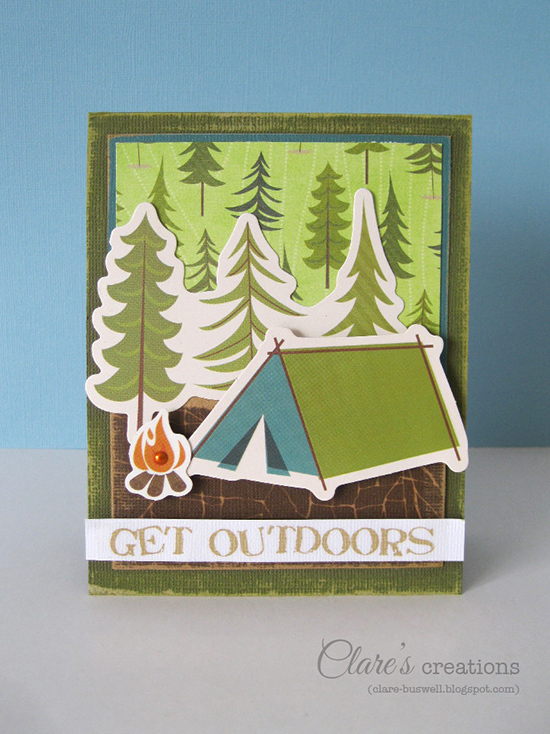 thanks for the ideas for some outdoor cards. Oooooo! these are adorable cards with all the beautiful layers and bling. Great job. Great cards! Especially the dirt-bike with the bumpy trail it's on with all the i-rock goodness! Wow, your cards are AWESOME! Love the way you used the glam rocks!! These are all so fun and I love the themes. Great close up showing off the sparkly rocks! Wonderful!! I love the way you used the brads.. thanks for the ideas. Lots of wonderful cards! Loving the I-rocks too! Fantastic cards, love all of the layering! Thanks for sharing. 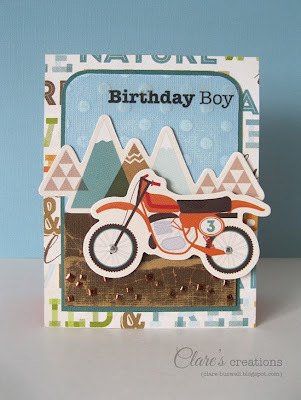 Fantastic "boy" cards. I always need ideas for them. Great cards! And, so inspiring.